Bob practices in the health care and managed care medical field, as well as in general tax planning and the defense of tax issues, exempt organization and private foundation matters, probate administration, estate tax planning and personal service contracting, and in the formation and operation of partnerships and limited liability companies of all kinds. He has had extensive experience in the organization and operation of independent physician associations, multi-specialty medical practice groups and medical school faculty practice plans. 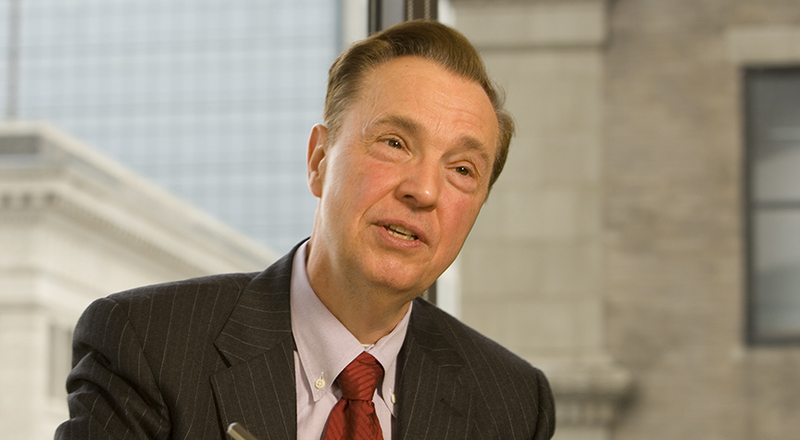 Bob has been the speaker at numerous seminars, such as the Cincinnati Bar Association, C.L.E. Seminars, Southwestern Ohio Tax Institute, Kentucky Continuing Legal Education Law and Medicine Seminar, and the University of Cincinnati College of Medicine Family Practice Seminar. He is a past president of the Cincinnati Bar Foundation, Lighthouse Youth Services Inc. and the Kentucky YMCA Youth Association. He is currently a Volunteer Associate Professor of Family Medicine at the University of Cincinnati Medical Center. Bob is listed in Best Lawyers in America for health care law and tax law and was named a 2015 "Lawyer of the Year" for Cincinnati Health Care Law. Bob was also selected for inclusion in Ohio Super Lawyers, published by Cincinnati Magazine. Bob is a graduate of the University of Kentucky and Harvard Law School. He served as a law clerk with the United States Court of Appeals for the Sixth Circuit in 1969 and 1970.